Below you can view all the homes for sale in the Fox Hills subdivision located in Marietta Georgia. 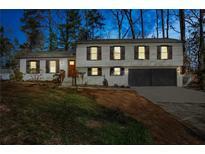 Listings in Fox Hills are updated daily from data we receive from the Atlanta multiple listing service. To learn more about any of these homes or to receive custom notifications when a new property is listed for sale in Fox Hills, give us a call at 404-998-4102. Swim And Tennis Available At Nearby Somerset Or Sibley Forest. MLS#6536767. Red Barn Real Estate,Llc..
Fox Hills Is A Great Value For Homeowners And Owners Have The Ability To Join The Somerset Swim Club. MLS#6536044. Keller Williams Rlty-Ptree Rd. Garage Finished And Re-Purposed To Allow For A Fourth Bedroom/Office, Full Bathroom, Laundry Room, And Mudroom. 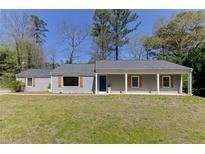 MLS#6527002. Keller Williams Realty Atl North. New Windows & New Roof, Led Lighting Throughout, Spacious Master Suite With Private, Brand-New Bath, Spacious Secondary Rooms, Fireside Great Room, Spacious Sunroom Overlooking A Flat Backyard For Family & Pets! MLS#6522094. Keller Williams Realty Chattahoochee North, Llc.